David C. Foster, M.D., M.P.H. Dr. Foster attended The University of Vermont as an undergraduate and received his Medical Degree from the Thomas Jefferson University in 1976. He completed his residency in Obstetrics and Gynecology at the Johns Hopkins Hospital. Dr. Foster completed a fellowship in Gynecologic Pathology at the Johns Hopkins Hospital under Dr. J. Donald Woodruff. Following a seven-year private practice, Dr. Foster returned to Johns Hopkins to join the full-time faculty in the Department of Gynecology and Obstetrics. 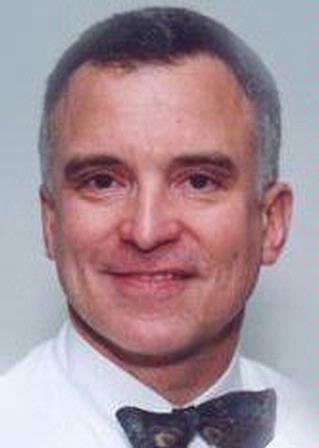 In 1989, he become the Director of the Division of Gynecologic Specialties and the Director of the Residency Program in Obstetrics and Gynecology at the Johns Hopkins Hospital. Dr. Foster earned his Masters in Public Health in Epidemiology from the Johns Hopkins University of Hygiene and Public Health in 1995. He was promoted to Associate Professor at Hopkins in 1996. That year he received the J. Donald Woodruff Teaching Award the Chief Residents at Hopkins for the best faculty teacher. Dr Foster joined the University of Rochester in 1996 as an Associate Professor and Director of Ambulatory Care, Department of Obstetrics and Gynecology. In 1997, he received the CREOG National Faculty Award for Excellence in Residency Education. Currently Dr. Foster is a Professor of Obstetrics and Gynecology with an active clinical practice in general gynecology with a particular focus on diseases of the vulvoaginal region, pain diagnosis and management of the lower genital tract, and diagnosis and management of disorders of the lower urinary tract. Dr. Foster is active a the advisory level with International Society for the Study of Vulvovaginal Disease. He is a member of the Committee on Terminology for Benign Vulvar Disease, who is responsible for formulating standard definitions for vulvoginal disease, internationally. Dr. Foster is certified by the American Board of Obstetrics and Gynecology. Foster, DC; Kotok, MB; Huang, L; et al. "The Tampon Test for vulvodynia research: reliability, construct validity, responseiveness". Obstet Gynecol. 2009; 113(4): 825-32. Foster DC; Piekarz KH; Murant TI; LaPoint R; Haidaris CG; Phipps RP;. "Enhanced synthesis of proinflammatory cytokines by vulvar vestibular fibroblasts: Implications for vulvar vestibulitis." Am J Obstet Gynecol. 2007; 346(4): e1-8. Hanjani NM; Foster DC; Scott GA; Mercurio MG;. "A genital mass due to HSV in a renal transplant recipient". J Lower Genital Tract Dis. 2007; 11(3): 173-6. Author List: Baglole CJ, Smith TJ, Foster D, Sime PJ, FeldonS, Phipps RP.